John L. Farquhar focuses his practice on real estate law with an emphasis on real estate development, acquisition, sale, loan workouts, financing and leasing. He has been the lead attorney in the acquisition and sale of large tracts of land for development and has experience with acquiring and restructuring troubled golf course communities. Mr. Farquhar has represented both lenders and developers in loan workouts and has been the piloting attorney for the development of master planned communities with bundled golf courses and membership golf courses. He has assisted master planned communities with the annexation of adjacent redeveloping properties in order to strengthen the value of both properties and the existing golf club while controlling the costs of maintaining a gated community. He also has experience with preparing the condominium documents for both luxury condominium communities and for conversions of more affordably priced communities. Mr. Farquhar was at the forefront of obtaining the necessary local, regional and state approvals for the rezoning and approval of DRI’s 400,000 square foot expansion of the Coastland Center Regional Mall in Naples. 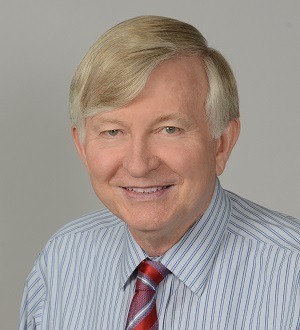 Additionally, he was responsible for the preparation of documents and the negotiations for the acquisition, changes in land use plan, changes in zoning, financing, platting, and various other matters relating to the purchase, development and sale of a 600-acre tract of unimproved land in Broward County, Florida. Mr. Farquhar also helped to spearhead the acquisition, development and financing of an environmentally sensitive island for development of exclusive single family home sites in Collier County.